As always, there is an XKCD comics covering this topic: https://xkcd.com/567/ . That was an interesting 30 minutes…. I usually go with conventional current when I am trying to design something, it seems easier for me. It wasn’t until about when I was 25 years old that I learned electron flows from negative to positive, opposite of conventional current. A lot of schematic symbols were designed with conventional current in mind. I am in the same theoretical boat here. Only thing to watch out for is which one one’s textbook is using. And in that vein something free. I have yet to look through the circuit lab book. When some ask about free print instructional material, pot the them to archive.org to search for NEETS. Navy Electricity Electronics Training Naval Series/Navel Electrical Engineering Training Series. I generally don’t point people to the ARRL basic electronics publication, because of the silly pig cartoon illustrations, then again Adafruit’s instructional videos contain a cartoon character. I was going to post essentially the exact same thing Eric. Even my age was about the same. At first I struggled with it, then realized that I was overthinking it. I would guess that the vast majority of people here have never had a situation where it mattered one whit what the charge carrier was (semicondutor device designers, electron microscopists, electro-chemists, those designing triboelectric and electrostatic induction HV generators– primarily Van de Graff–, and old farts like me that have designed with vacuum tubes likely making the majority). So if unconventional current is electron current then conventional current must be positron current, right? These days, hole current. Used in p-channel FETs, junction diodes, and BJTs. I agree with “hole” flow being the best way to describe the ACTUAL way it works. Though some devices clearly want to say ” look… we know how it really works because we are the engineers who finally understood this stuff”… the resulting “why is this backwards” effect when encountering MOSFETS can’t be avoided… The result is the unnecessary divide between pipe smoker engineers and the fingers dirty engineers. In the end… unless you actually design semiconductors… its not as important as just knowing… “it flows when I do this”. =squints= I can’t tell if you are joking, so I don’t know if I should give a serious answer, or go along with the joke. There are positive ions that carry charge in some situations. You can teach yourself quite easily to know which is + and – and this can often be helpful. Try it with a AA, don’t be daft and use a car battery. really?! In 40 years of licking batteries, I have never thought to discern this. I usually have both electrodes on my tongue (easy with a 9v, more difficult with an AA – I usually use my cheek for that). How would you qualify the flavour difference? I can’t. Just do it with a PP3 and you will notice the difference, Maybe taste is the wrong word, different pain maybe or feeling. That is all taste is anyway so I suppose taste is the right word. 9V makes my tongue twitch. I can sustain a 1.5V. I’m not sure taste is pain (though sometimes pain is tasty? haha). I would imagine differences in taste might arise from what ions are migrating, and I don’t know what that would be in saliva, and also significantly the metal of the electrode. I’m sure a copper electrode would generate different taste from aluminium or zinc. Considering a good amount of NaCl in your bodily fluids, you get lye on one pole and chlorine on the other. Which could taste different. Put it on your tongue then turn it round and put it on your tongue in the same place so that you swap the terminals, you will feel what I mean. I was taught Conventional Current and it was explained that its the flow of the holes left behind from the electrons flowing the opposite way or hole theory. I’m surprised you stopped at JJ Thompson as the discovery of electrons leaving a filament was actually discovered by Edison and is recorded in his Patent later known as the Edison Effect. He didn’t understand electron flow but he discovered that he could prevent the black carbon build up on the positive side of the light bulb filament (he used DC not AC) by placing a 3rd positively charged plate inside the bulb to collect the carbon particles. This would lead to the invention of the Vacuum Tube John Fleming and the CRT which JJ Thompson invented. Since conventional current versus charge carrier current was explained to me, I thought these are in fact two different but related phenomenon. The electron flow itself is a slow-moving current from – to +; while the conventional current is the ‘information’ of motion which goes from + to -. This is similar to cars stopped at a traffic light. When it goes green, the first car moves, then the second in the queue and so on. Cars are electron, moving slowly; while the information ‘the preceding car has moved, i should follow’ goes much faster and in the reverse direction. Probably most readers here have an EE bias, even if they are not actual EEs. I came to circuitry later in life (college), and by that time, I was all scienced up. The profs of both camps resolved the whole thing as “scientists use X, and engineers use the opposite; so deal with it”. (In my optimistic recollection, I don’t recall either insisting that one way was right.) Luckily, I was a math and CS major, so dealing with it was no big deal. Now, when it came to which way the holes were moving, that was a bit mind-altering. @WJCarpenter, You get it. I’m surprised there are NO comments at my post-time here that understand the difference between “Physics vs. EE” current “direction”. It’s a real thing, and it causes problems, especially when you delve into published papers where the mathematics crosses the boundaries of classical vs. quantum domains. Changing the sign of flow in mathematical proofs and/or simplifications/derivations between the two sign conventions we have today will only propagate throughout the knowledge-base making everything even more difficult to parse. I don’t think we’ll see much (if-any) change when it comes to this problem. All Physicists reading EE papers know about this, and vice-versa! It’s been that way for many-many years To to try and “standardize” at this point would only make things worse. We just have to deal with it. It’s much simpler to just realize conventional current is the flow of positive charge from the positive to negative terminals. You don’t need to worry about what the real charge carrier is unless you’re working with semiconductor physics, in which case you should be familiar with the concept of holes. The direction of current is not so confusing. I find cathode/anode much more troublesome. For example battery terminals change their names dependant if it is charged or discharged. Yessss! That’s my trouble, too! (and sometimes remembering the direction of the channel arrow in an enhancement mode versus depletion mode MOSFET for the P and N variants). What’s wrong with “cathode is negative”? Don’t the electrons come out of the cathode? I am among those who learned science (the physics) before the application of it. I think it is of importance that our language and design represent reality as closely as possible Though some things may not seem like that big of a deal now, problems, workarounds and conditionals have a way of compounding into utter monsters over time. Defining a fundamental and widely used phenomenon in a way that resembles an elementary school phenomenon known as “Backwards Day” flies in the face of the simplicity and accuracy that science strives for. Why don’t we all just speak in double negatives and talk about rivers flowing in the direction that water molecules are departing from? Because it doesn’t reflect reality in the simplest sense and is therefore a breeding ground for avoidable misunderstanding and eventually, failure. ??? No sarcasm indicated… Perhaps you are confused because you are comparing apples to oranges? The terminals that connected to the anode and cathode components of an active electronic devices aren’t the same as the positive and negative terminals of a battery. To me, it is more intuitive (and consistent) to name something in a directly descriptive manner. Ergo, a cathode should always refer to a positively charged node. This would imply that negatively charged particles are attracted to it, not the vice-versa which is used in conventional circuit descriptions. Can’t stand conventional current. I feel like I’m being dishonest when describing how a circuit works. Prior to the development of vacuum tubes, while polarity was important, the actual direction of current flow in the DC circuits at the time wasn’t a concern. 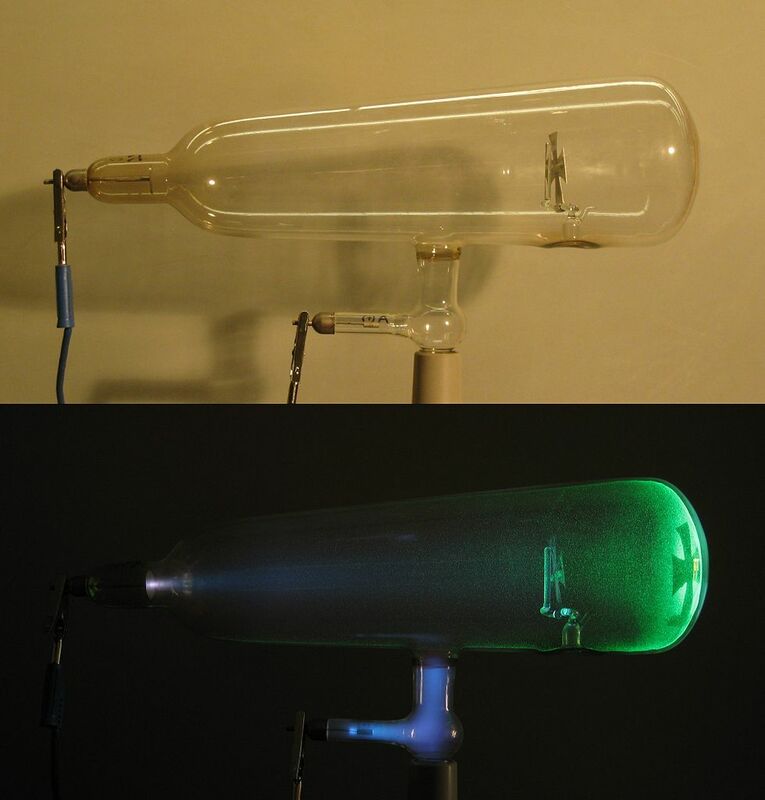 When vacuum tubes, in a practical manner revealed that electrons flowed from negative to positive, minds where blown. The term “conventional current” was invented, so those who work with simple DC circuits could still do so without thinking about electron flow. Science has moved to the point where an electric current needs to be defined as the flow of a an electrical charge. Sure life was easier when the electron was they only charge carrier, however observations have shown there other charge carriers. I’m a grey beard, but I glad I’m able to adapt, because I’d feel dirty if I couldn’t adapt like those grey beards of old couldn’t. A bit disappointment to see that many don’t seem to know when the how the therm conventional current came to be because the modern use is a bit of a misnomer. Not I wouldn’t know what to suggest, because charge flow is a bit awkward. Also, Open Drain configuration of a transistor only makes sense if the Drain is the open connection, thus the one connected ( to the lower voltage potential) is the source. The source is a source of electrons and the drain is where the epectrons drain into. Conventional current measures the movement of positive charge, which is opposite the flow of electrons. Everything’s relative, so it is used as a common reference point. Generally considered to be an object of sufficient size/charge capacity when compared to the circuit or body of interest; such that it serves as a charge-exchange medium where its net charge is considered to stay unchanged whe with respect to the circuit/body of interest. Of all things, it is something I’m generally comfortable considering as charge-agnostic. Here is an example of when it makes a difference: Hall Effect polarity. There is a host of military equipment that runs on a negative voltages, the reason i was given by a military engineer is moving a large current through electrical components leads to problems with heat where as running a negative supply negates that issue. Ill admit it was a very long time and i’m probably butchering the explanation. Positive and negative are just direction conventions– a negative supply is just a positive supply turned around. Do you remember any other details? Military electronics stuff is always interesting. I have to wonder if he was speaking of motor vehicles where the chassis was connected to positive of the electrical system. i understand there where arguments as to way positive chassis connection was better, but most manufactures abandoned that convention decades ago Negative and positive voltages only exist in reference to a common potential. I had a professor in physics who redefined everything to make it work with a left-hand rule instead of a right-hand. His iron-clad rationale? You could make the pointy-finger gesture and figure out cross products without putting your pencil down. A byproduct of this was rationalizing current with electron current. Such people exist. It’s a high-wire act, if you ask me. This is a non-issue; a complete and total crock. Pick a system; use it. You’ll get the same results as the person using the other ‘standard’. When you find an employer who will only hire people who learned “conventional” current flow, then articles such as this won’t be a crock. Not ’til then. Learning based on electron flow makes the physics behind electronic components MUCH easier to understand. Conventional current is espoused mainly by people who soil their pants in fear at the phrase “left-hand rule”. When I entered tech school virtually TVs used vacuum tubes, as did much of the line powered entertainment equipment. Te only solid state equipment we seen come into the shop was Automotive 8 track player and and low end line powered radio/record player/8 track players units, as well as transistor table top broadcast radio sets.. Conventional current flow was briefly mentioned before thinking in terms of electron flow, because electron flow explained how circuits using vacuum tubes worked. Of course we eventually reached solid state devices and holes as current careers blew the minds of many students. To this day when I troubleshooting actual equipment or studying a schematic of a project I thing, and automatically deal with solid state device when they appear. I help conduch classes for those wanting to get the first ham radio license or want to upgrade, that’s one time when I have to consciously shift gears in my thinking. The other time when I’m talking shop or bench racing with those I know us the arrows to follow current flow in a circuit. Wit solid state being the rule I can’t blame them, but the grey beard has to help them navigate around any vacuum tube they run into, assuming they don’t run away from the higher voltage figures they see. Well said. I came in slightly after you, having learned on both solid state and tube, then my career included more solid state than tube. I have no problem going back and forth between electron flow and “conventional” current flow. Taking into account which way electrons move can be really misleading. An electrical circuit is not about the flow of electrons, in fact, we don’t even refer to electrons as flowing, but merely drifting. Electrons drift at a velocity of 0.2 mm/s. You could actually watch them move. Electrical signals of course move at a significant fraction of c, about 200,000,000mm/s. While you may be technically accurate in the numerical values that you’ve listed, the idea that there’s is a definitive difference between flow and drift is a bit nebulous. Think of the device known as “Newton’s Cradle.” The spheres on the inside barely move at all, yet the transference of energy is extremely fast between the two outer spheres. This demonstrates that the internal movement of the constituents of a system need not be in proportion to the speed at which a signal is transferred via them. It shouldn’t be advocated that the current in an electrical circuit isn’t about the flow of elections. This implies that perhaps a current can flow with no movement of electrons (or any other chosen charge carrier.) When in fact, this “flow” is the very definition of current. Current is a rate, so something must be changing with respect to time. The transference of energy is the ultimate point of interest, which is determined by the net movement of the charge carriers.